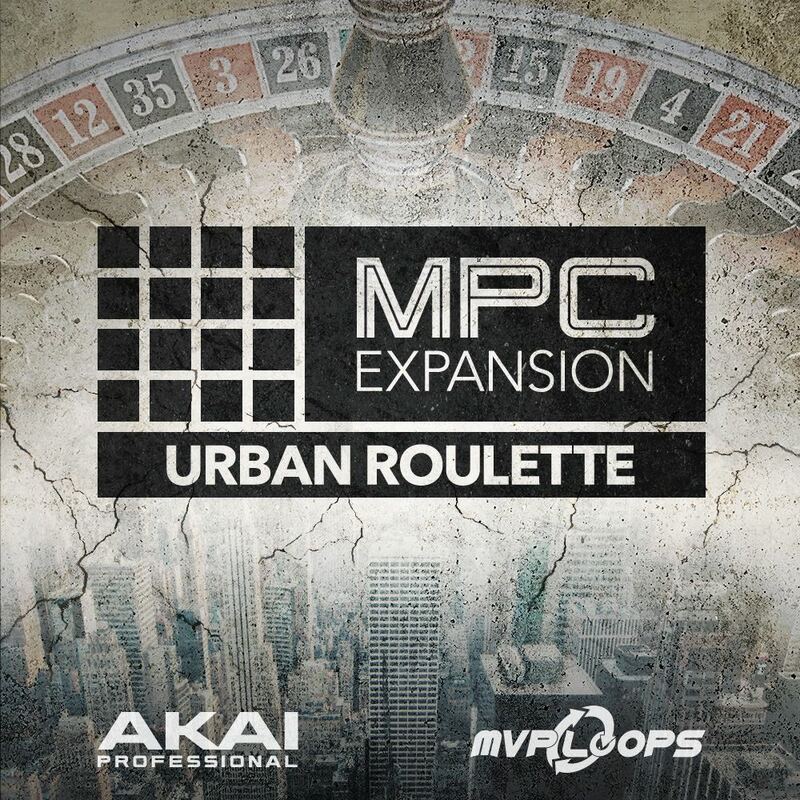 Akai Pro & MVP Loops proudly present an incredible new MPC Expansion Pack, Urban Roulette. Developed exclusively from the ground-up by the world-renowned sound development team at MVP Loops, whose sounds can be heard all over many of today's chart-topping singles. The Urban Roulette MPC Expansion Pack delivers a hot selection of kits covering urban, trap, hip hop, r'n'b, and pop. It contains over 800 MB of radio ready sound, including more than 50 hard hitting drum kits and 200 patterns to add to your MPC arsenal, along with over 1000 blazing loops and samples. 772 Melodic Loops | 207 Bass Loops | 177 Synth Loops 444 One Shots | 1216 Samples | 200 Patterns.